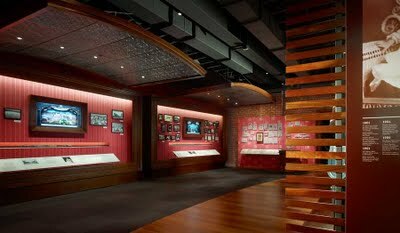 During my visit to San Francisco for the Disney/Pixar Event, I had the wonderful pleasure of touring the Walt Disney Family Museum. 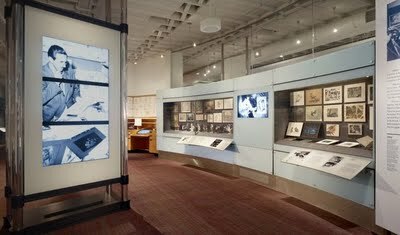 It was a beautiful expansive building with the newest technology and historic materials and artifacts which brought Disney’s achievements to life, with interactive galleries that include early drawings and animation, movies, music, listening stations, and a 12-foot in diameter model of Disneyland, and more. 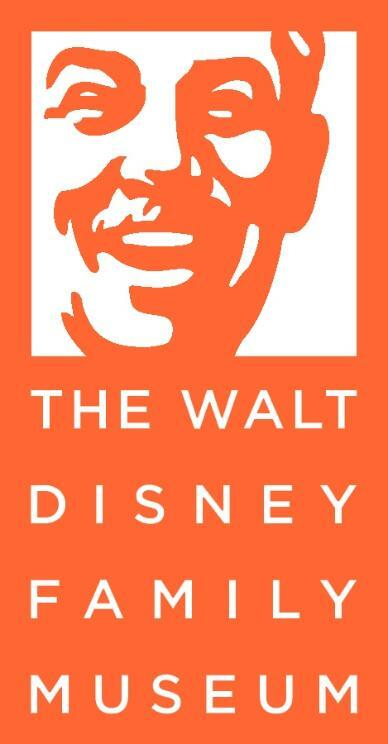 Designed by the Rockwell group out of NYC, their goal was to honor Walt’s storytelling by using the same tools of art, music and technology, that he used throughout his career. Very ecclectic and artsy just like the man himself! I really loved seeing the early movie clips where he had his family performing, including his mother. You could see he was forward-thinking when he had the film roll back and it looked like his brother was jumping UP to a rooftop! The museum a former barracks located in the Presidio in San Francisco. The barracks were built in 1898 and housed soldiers during the Spanish-American war. 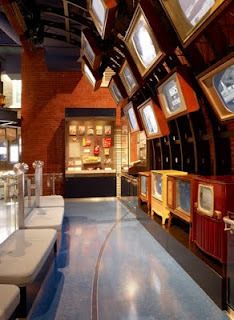 The Lobby at the museum displays 248 awards that Disney won during his career, including the Presidential Medal of Freedom and many Academy Awards–including the honorary award for Snow White and the Seven Dwarfs, which consists of one full-sized Oscar alongside seven miniature ones. It was a different side of Disney World. We were able to learn about the interworkings of the extraordinary amusement and how it came to be. And we learned that the man behind it was just that– a man. A man who adored his family, his mother and his children. But before his dreams become big, he worked hard to bring them to fruition. He tried to join the army and was rejected because of his age and he later drive an ambulance for the Red Cross. He seemed to always be a man on a mission to help people. Who knew that later his helpfulness would also translate into so many people happiness. Walt loved to draw, aspired to be an artist and settled to drawing political cartoons and comic strips until he realized that dream was a dud. Nobody would hire him. We learned on the walk through the 40,000 square foot space in the main Museum building, that Walt Disney had failures too. Lots of them at that. But his haters seemed to be his motivators. And later on when his Laugh-O-Gram studio went bankrupt, with just $40 bucks in his pocket, he headed to Hollywood. Now that’s a man of great ambition and gumption. He later developed Mickey Mouse after losing the rights to a character called Oswald the Lucky Rabbit. But his loss was also his gain. And you know, the rest is history. There is also a Fantasia-inspired state-of-the-art digital Theater on the lower level of the Museum, which daily screens Disney classics. We were not allowed to take photos on the upper levels of the museum so I don’t have pics to show you. But take my word, take a visit to San Francisco to visit the Disney Museum which is also a stone’s away from the Golden Gate bridge. It was a visit that was enlightening and very inspirng for anyone who dares to dream and wish upon a star. 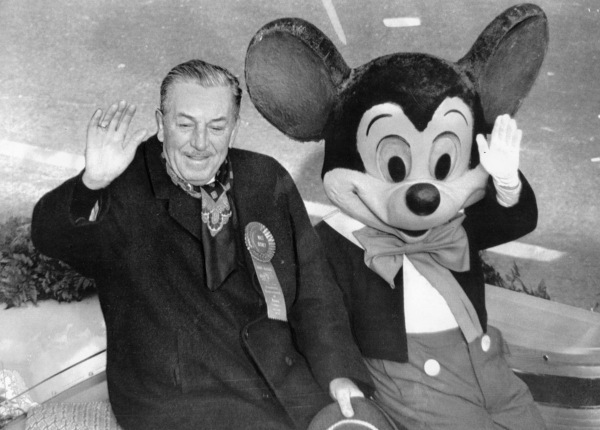 I know this may sound corny but through his ups and downs and his persistence Walt proved that dreams do come true. Caryn B recently posted..Celebrate Family With Free Sprinkles Cupcakes! Me too. If I get invited next year I’m def staying longer for sure.